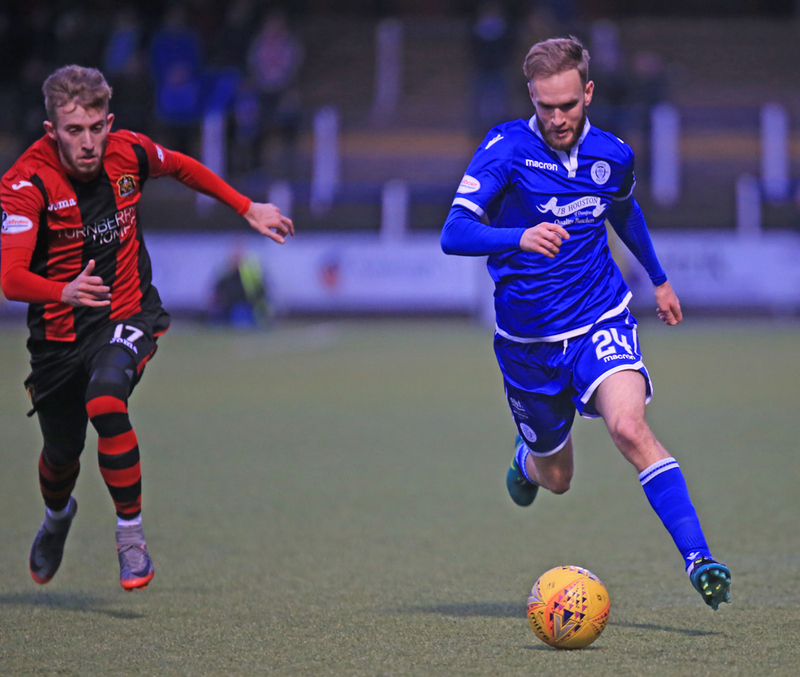 Queens welcomed Dumbarton to Palmerston as their `first footers` of 2018 and with neither side being able to find the net in the 90 minutes that followed, the encounter will be one of those that does not linger long in the memory as the game passed by with very little to excite the crowd of 1269. 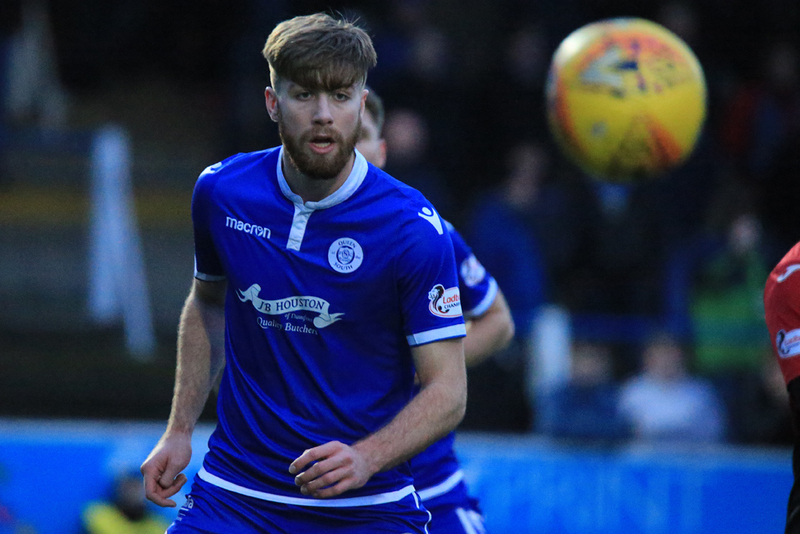 Following defeat at Falkirk, Queens made two changes to the team that started in that game, loan signing, Joe Thomson and Connor Murray were both included from the outset with Callum Tapping, and Andy Stirling making way for them, as a 4-3-1-2 formation was adopted. 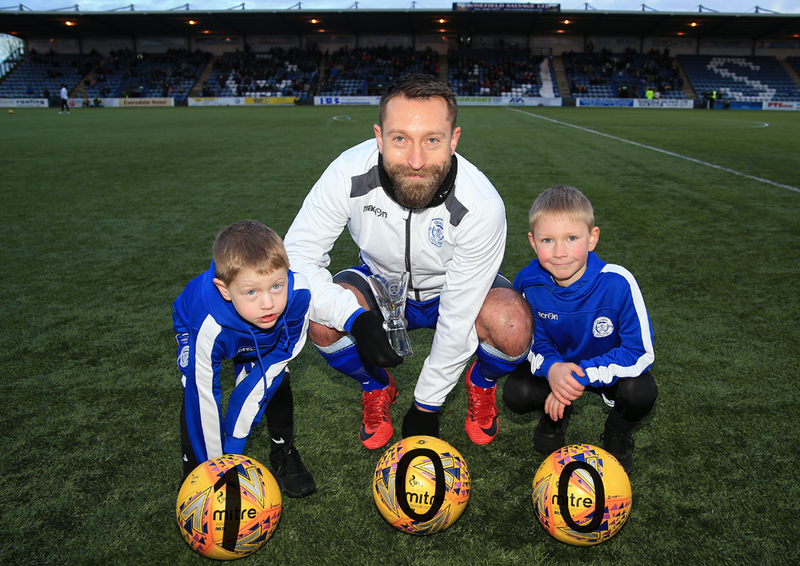 Before kick-off, Stephen Dobbie`s 100th goal for the club was recognised as he was presented with a memento to mark his fantastic acheivement. The third meeting between the sides this season got off to a low key start and although we enjoyed most of the early possession, we were unable to create any clear cut goal-scoring opportunities. 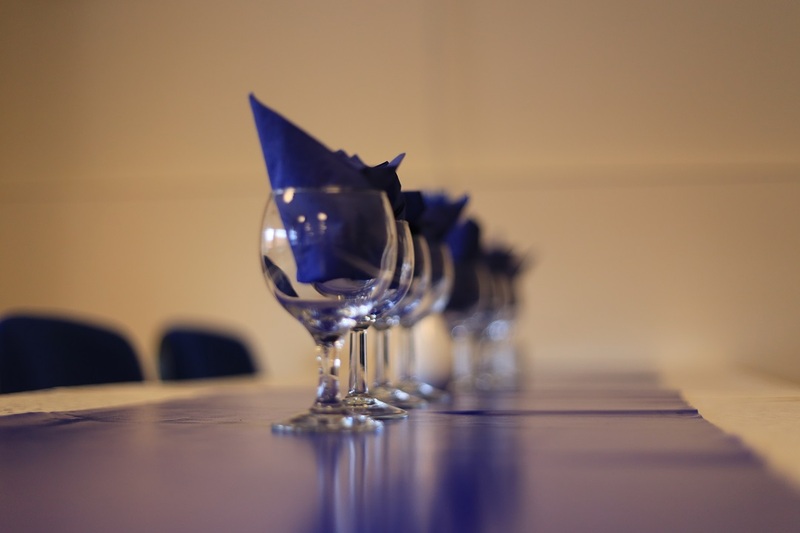 Loan signing, Joe Thomson, gave us a bit more energy in the centre of midfield, and Scott Mercer, playing in his favoured position of left back proved to be a valuable outlet as we tried to attack down that side. We won our first corner 12 minutes in after Jason Kerr picked out the run of Shaun Rooney down the right, and although Kerr met Connor Murray`s set-piece delivery with his head, there were enough defenders in the way to block, and then clear his effort to safety. The visitors responded with two corners in quick succession, with the second one causing the most problems for Queens when former defender, Andy Dowie rose well at the near post but could only guide his unchallenged header wide of the target. We then produced what was clearly the best move of the half as a flowing attack almost produced the opening goal. Alan Martin`s quick distribution found Murray in space down the right and after combining well with Thomson, he slipped a pass inside to John Rankin who saw his fine curling shot pushed over the bar by the finger tips of visiting `keeper Gallacher. That passage of play was the highlight of what had been a rather subdued period of football with both sides struggling to find any fluency to their game. With a congested midfield, it was clear that there was plenty of space down the flanks, and Scott Mercer made full use of this option when he produced an outstanding run down the left before delivering a cross into the penalty area that picked out Lyndon Dykes, but slightly off balance he was unable to get the ball fully under control and could only blast a shot high over the bar. The full back was involved in our next attack as he combined with Murray and then Dykes to create a chance for Stephen Dobbie, but our leading scorer was off target on this occasion as he hit his shot high and wide. The final action of the half saw us go close again as once more Mercer escaped down the left before crossing into the near post where Chris Kane got to the ball first but didn`t get enough power on his attempt which gave `keeper Gallacher just enough time to deflect the ball to safety. The opening minutes of the second period saw us win an early corner which Dobbie took short to Murray who returned the ball back to Dobbie, and although his shot was on target, it was straight at the `keeper and when the ball was eventually cleared into the path of Shaun Rooney, he lost all composure and blazed the ball well over the bar and into the Portland Drive terracing. Dumbarton, prompted by the influence of the lively Froxylias began to feature more in the game, and Alan Martin had to be alert to keep out a close range attempt from Gallagher, whilst minutes later Queens created another really good opportunity to go in front when Martin`s long clearance was flicked on by Dykes, and then by Dobbie to send Kane clear, but the Dumbarton `keeper was quick off his line to leave the Queens striker with little to shoot at and he could only hit a shot straight at the `keeper. Our first change of the afternoon came when Derek Lyle replaced Stephen Dobbie with 17 minutes to go, and three minutes later, Connor Murray was replaced by former Dumbarton midfielder, Andy Stirling as Queens tried to find something different in a way to find a way past a stubborn Dumbarton defence. 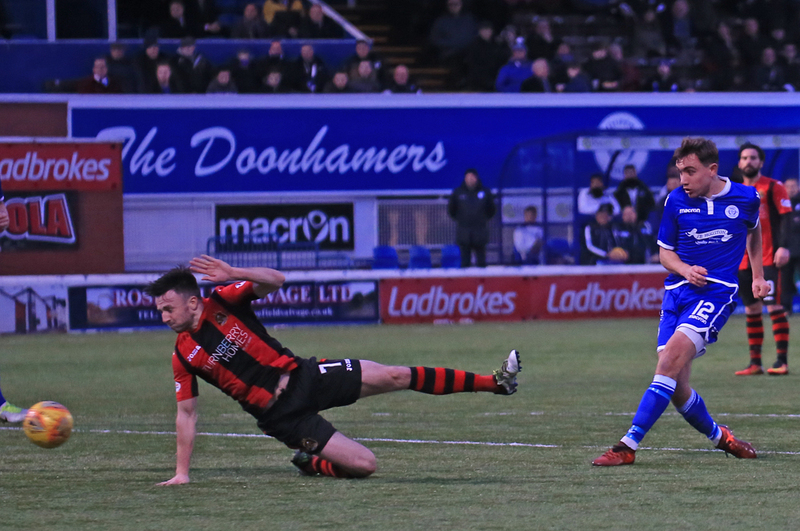 Shaun Rooney did exceptionally well to skip past two defenders on the right before whipping in a super cross, but sadly for Queens, no-one in a blue shirt was anywhere near the cross and a big opportunity had gone. The one and only yellow card of the match was dished out to Dumbarton`s Carswell for a foul on Stirling, and as the game moved towards it`s conclusion it took a wonderful save from Alan Martin - who celebrated his 29th birthday yesterday - to keep the game goal-less as he got down superbly well to push away a close range header from Dumbarton substitute, Nade. 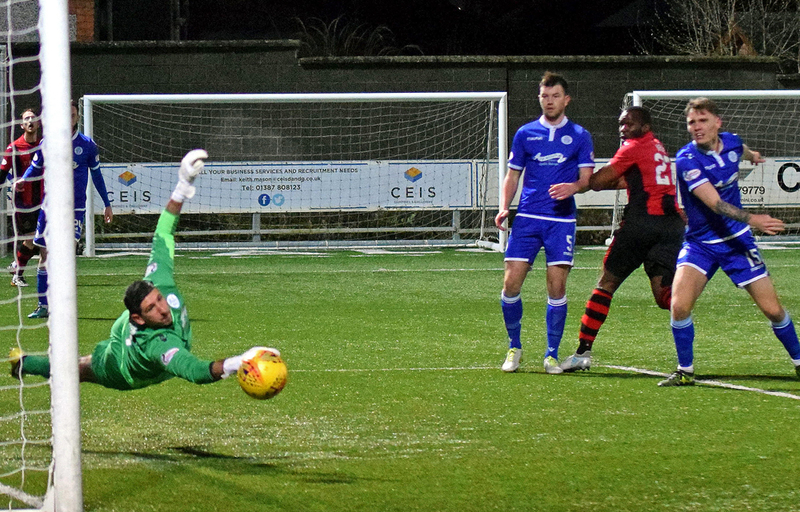 Scott Mercer was selected as man-of-the-match as Queens huffed and puffed to their first point of the New Year, and although enough chances were created, once again we failed to convert any of them as for the fifth time at Palmerston this season we were involved in a goal-less game. 14:25 Welcome to Palmerston for the first game of 2018 against Dumbarton. Limited updates today but we`ll bring you teams and any goals.